recommended for: Fans of Sherlock Holmes and quirky British-y writing. People who enjoyed Salt & Storm by Kendall Kulper or The Accidental Highwayman by Ben Tripp. will i continue the series? : Possibly, at some point. Imagine if Sherlock Holmes could see ghosts, and you have Jackaby. I don't really get the Doctor Who bit. It's a reach. This book is far more Supernatural than timey-wimey. But I'll blame the marketing team for that. 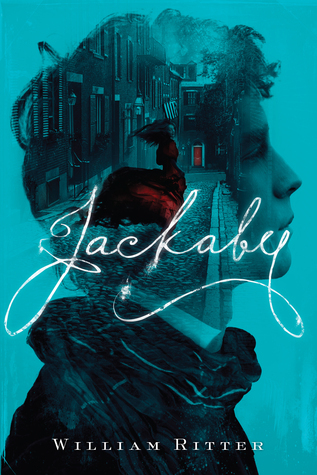 On its own merit, Jackaby is a fun, fanciful story that demands the word "caper." It benefits from very sharp writing that manages to be period-sensitive and also very accessible and not stuffy. At times it's really witty, too. Being fairy tale-obsessed, I also loved the inclusion of old folklore and myth. However, the plot was a little too draggy to enrapture me and I had a difficult time truly loving the characters. Abigail is clever and feisty, Jackaby is adorably absentminded and a little cocky, but they just struck me as a bit thin. So it ended up being an enjoyable read, but not one that electrified me to the point of stalking the next book. On the whole, I think it'll really appeal to fans of period pieces and snappy writing, or anyone obsessed with Benedict Cumberbatch. The plot itself is pretty fascinating, but something about the pacing is off, or the arrangement of things. When I first started reading, I was convinced it would be a sort of episodic thing, with a bunch of little adventures culminating on some huge mystery. I don't know why I had this sense. Everything started to clarify and catch my interest when the murders cropped up. There's a lot of interesting investigating, breaking-and-entering, and encounters with whimsical creatures that I really enjoyed. The fisherwoman, the troll, the ghost--pure gold. But I think I was missing a real sense of urgency. I just never felt frantic to read on, which I see as rather important for a mystery. The reveal was also a little unsatisfying, but I have no idea why. I love the idea of a supernatural detective. Jackaby is one-of-a-kind, a rare human who can see through the veil to the illusions beyond--ghosts, demons, kobolds and other strange things. His matter-of-fact way and the fact that everyone thinks he's crazy was pretty amusing. It opened up the way for a lot of skulking around the authorities. Like I said, I also loved the inclusion of fairy tale and folklore elements. It gave the book a sense of being grounded in the real world without being quite real. Ritter also did a good job with Abigail as an assistant. Amusingly, Jackaby prizes her because she notices the useful but ordinary things that he overlooks. I can see this being an interesting team for a series. What I found a little odd, though, is the way that Jackaby is supposedly the only one in the world with these supernatural powers. Just seems farfetched, and his explanation is anything but clear. My main problem is that Jackaby is so Sherlock that it doesn't feel terribly original. I liked the characters but I didn't love them. 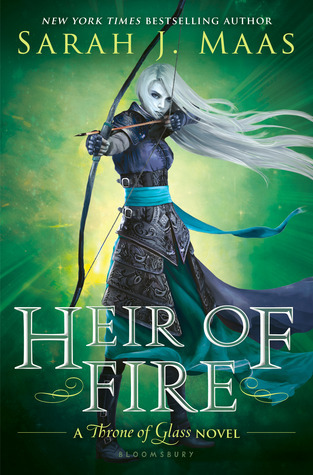 As with much of this book, I found them enjoyable but I didn't find myself invested in them as I am with characters in books I truly love. Jackaby was probably my favorite, because I'm a sucker for the witty, slightly arrogant, socially inept, absentminded type. He's also just a little silly, which is a plus. Abigail is the narrator, but I felt less connected to her. She felt a little samey as far as feisty breaking-the-Victorian-mold women go, and her little romance seemed thin, considering it was from her perspective. The supporting characters are pretty stock but they work. You have the curmudgeonly but noble police chief, the misty wise old woman, the snarky ghost. Okay, the snarky ghost is pretty cool. Ritter's writing style was quite good. I'm a huge fan of Victorian writing, so it's always exciting to see modern writers keeping it up. Of course Ritter doesn't go as ornate or flowery as the Victorians, but that's to be expected, given his audience. And it still works. His language is very tight, his dialogue is snappy and amusing, and his exposition is laced with a sense of silly humor that gives the book great atmosphere. Everything here is pretty tight and polished. Ritter doesn't go overboard with extra explaining, which is always impressive for fantasy. There are many times Jackaby will just mention this creature or that with no explanation and then run off; it helps to make the world feel big and real, somehow. The pacing could have been improved; the middle got a little trudgy, I think. A whimsical supernatural detective adventure with sharp writing and an admirably off-the-wall hero.